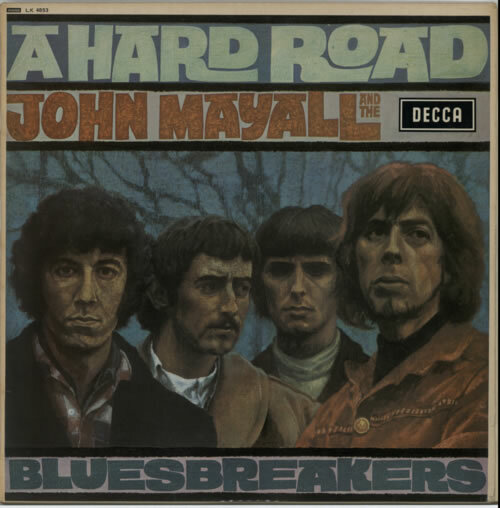 JOHN MAYALL & THE BLUESBREAKERS A Hard Road (1967 UK 14-track Mono LP on the Decca unboxed logo deep groove red label, featuring Peter Green, front laminated picture sleeve. Stone cold classic British blues album featuring future Fleetwood Mac members Peter Greenand John McVie. 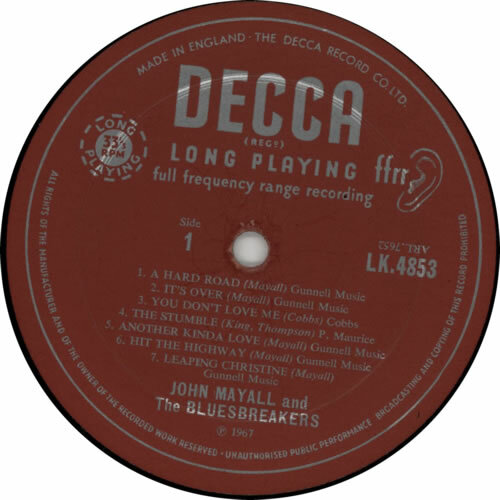 The sleeve shows some light laminate creasing, very minor edgewear and some slight colour fading on the reverse but nothing excessive and remains fully intact with all text clearly legible, the vinyl is in excellent conditionwith only some light spindle wear and a few cosmetic scuffs to show for its 47 years - a very nice copy indeed LK4853). 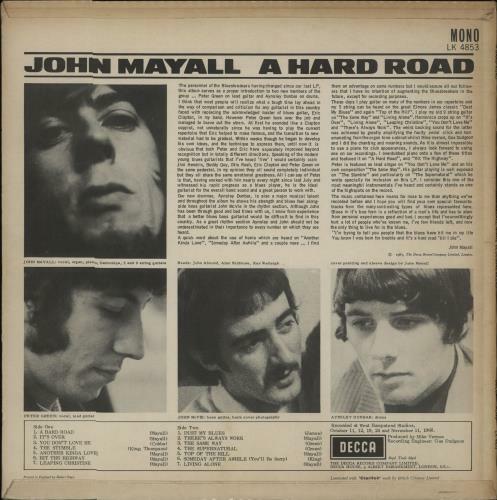 or visit our John Mayall image gallery.